Of the many, many indie games out there, one of those that really stands out as something that might have been overlooked by a lot of people that would otherwise love it is Thea: The Awakening. Superficially it looks like Civilization, but then you start playing, and it is something different on every level. Thea is closer to an RPG than it is a strategy game. There are many narrative arcs to follow, many heavily inspired by the unique (and to many of us, exotic) Slavic mythology and fantasy. The game's combat system is unique, too. It's based on card play, and is vaguely similar to the mechanics that underpin many trading card game (TCGs) out there. And then there's some light strategy and city building elements, just like in Civilization. 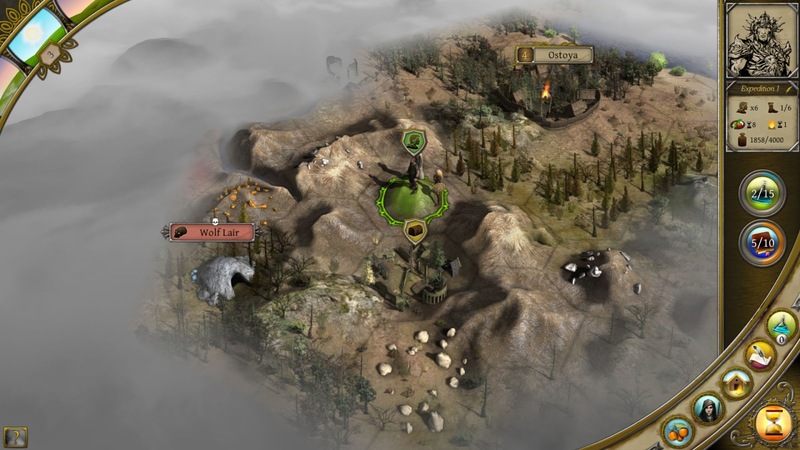 I had the opportunity to have a brief chat with Mila 'Yuuki' Irek, the lead quest designer and writer of Thea, from MuHa Games, about the challenges in getting the good word out about a game this distinctive, and where the inspiration for Thea came from. Matt S (MS): Where did the inspiration for Thea come from? Mila 'Yuuki' Irek (MI): The world of Thea is inspired by many works of fantasy, as well as Slavic mythology and folklore. So, in its essence it is a classic post-Tolkienesque fantasy, with elves, orcs, and so on, but then it has those dark, Slavic undertones and creatures. It would be hard to list any particular inspirations as the list would be great, but things like Warhammer RPG and Andrzej Sapkowski's book series were certainly a strong influence for me as a writer. MS: What I love about this game is the way it seems to be so many things, and yet completely unique. Sometimes it feels like a story-driven RPG. At other times it feels like a strategy game. How did all the systems come together to create this game, and what inspired it? MI: As you said, Thea is a hybrid game the inspirations for it were also many. 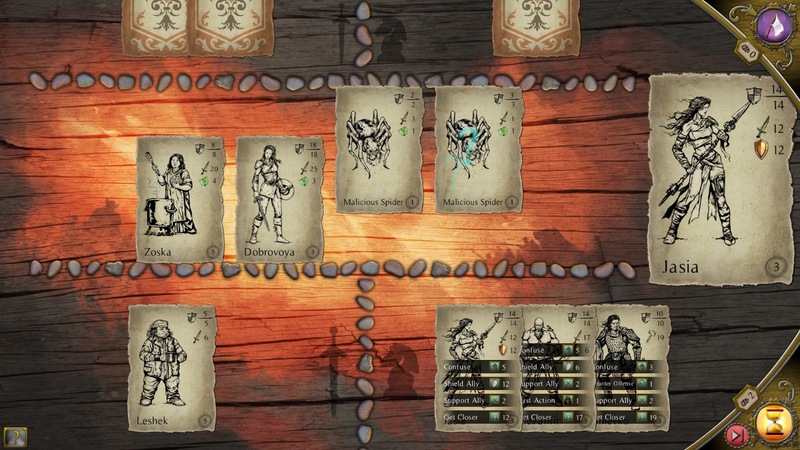 We sometimes say about Thea that it is as if Witcher had a baby with Civilization, adopted Don't Starve and then fooled around with a bit of Hearthstone. How did we put it all together? With great difficulty, that's for sure. It is always a case of trying to balance each aspect, make sure every genre we include is there for a reason, it is fun and most importantly it plays together with the others. For example, the card game is not a side thing, it is incorporated with every other aspect of the game - quests and levelling up make your characters stronger, gathering and crafting provides better equipment, which again shows up in the challenge, the village can provide bonuses and so does your choice of deity at the start etc. So yes, just making sure every aspect clicks together with another part of the game. 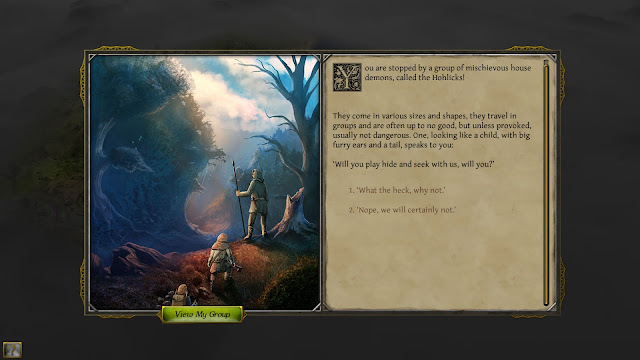 MS: Did you see this game as an opportunity to introduce Slavic mythology to a global audience? How familiar do you think people are with Slavic stories as a whole? MI: I think the Witcher series paved a way for Slavic-inspired fantasy, so players around the world now have some awareness of it, but there is still so much space here to explore. The decision to use Slavic mythology was not based on wanting to promote it particularly, it was just a creative choice, but it has proven to be a great bonus. 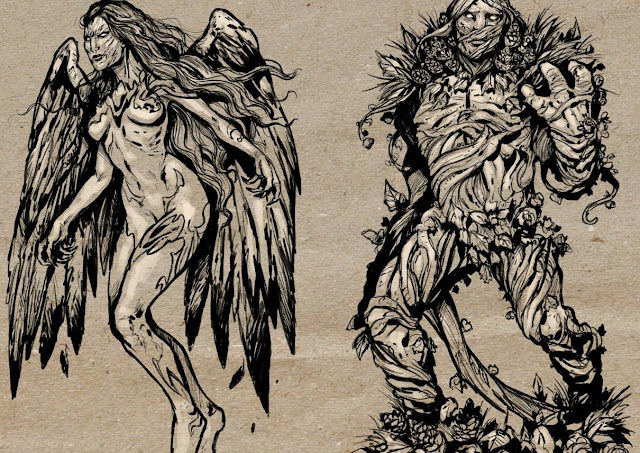 It is great to hear fans getting interested in Slavic myths and stories after playing Thea. MS: The game has been available on some other platforms for quite some time now. Have there been any unusual and surprising responses that you can share? I am always happy when people say they love Slavic folklore now and they want to learn more. That also took me by surprise at first. MS: Superficially the game does look a little like Civilization. Has it been difficult to break people away from that mindset, and convince them that this is something unique and of its own? MI: Thea has been difficult to describe or market altogether, so yes. On the one hand it is flattering to be compared to Civilization, but on the other, we are very different and as you said, some people keep expecting it to be Civ. But after you play for a bit, I think and break through the initial stages of learning this new, hybrid thing, fans quickly recognise how it is a creature in its own right. MS: Strategy games are notoriously difficult to craft, balance, and design. Why work with the genre? MI: Because we like a good challenge, I guess. Most of the team also likes strategy games and it just fit the bill with our ideas for the game. MS: I know there's a Thea 2 on PC, but is there opportunities that you see to build on the overall franchise even further from here? MI: Sure, I mean there is already a tabletop RPG in the making by a small studio called Triglav, and the game is inspired by Thea: The Awakening, so that will be great to see. And who knows what else. We tend to not plan ahead too much, as we are a very small team and so we put 100 per cent focus on what we do right now, so any further plans for the Thea franchise will have to wait till after Thea 2 releases in full. MS: What would you say are the toughest things about being an indie in the current market? MI: The usual, really: working on a budget, a market that is saturated with indie titles, always fighting to get your game noticed. But those are worries of anyone who makes and sells anything I would imagine. But then you get freedom from external pressures, or at least relatively so. We've been lucky at MuHa so far, what we do works well for us and we're happy doing it and happy being an indie. MS: Finally, what games are you playing yourself at the moment, and why? MI: We play a lot of HOTS at MuHa, it's out team bonding exercise after every weakly meeting. And to be honest, it's pretty much Thea 2 right now, testing, testing and more testing. Thea: The Awakening releases on Nintendo Switch soon. We will have a review of it on DigitallyDownloaded.net, so stay tuned for that!